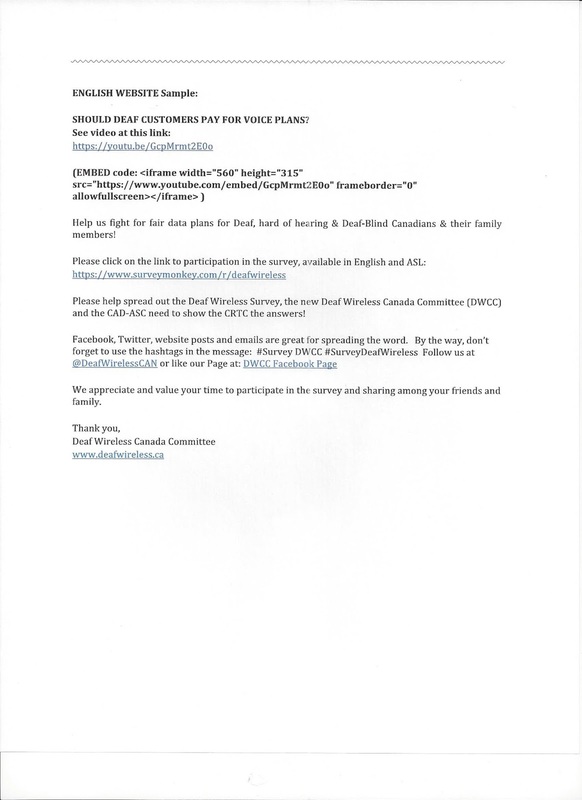 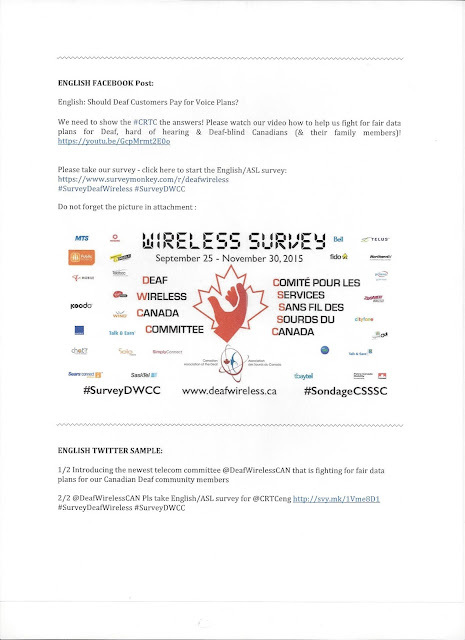 Deaf Centre Manitoba Inc.: Friendly reminder- Please do the Deaf Wireless Canada Committee survey!! Friendly reminder- Please do the Deaf Wireless Canada Committee survey!! 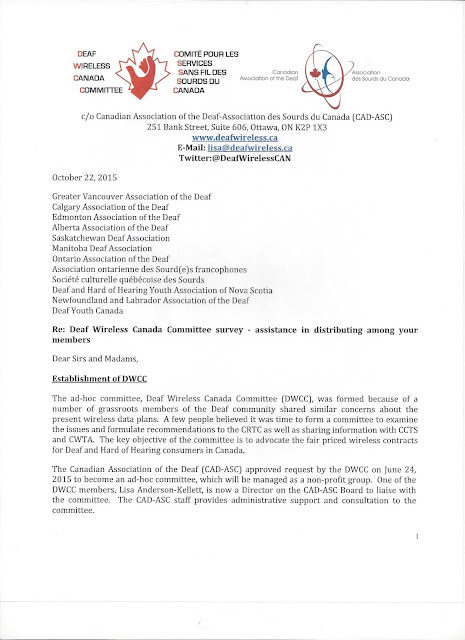 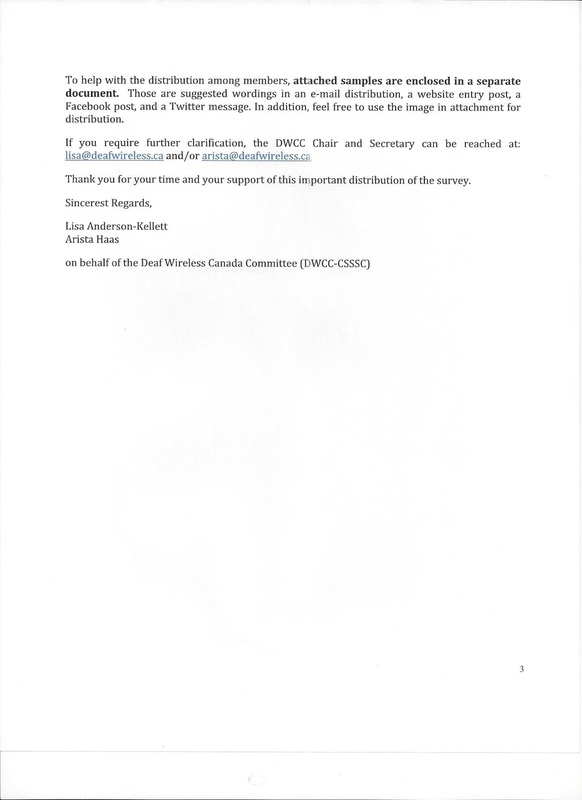 It has come to my attention that Deaf Wireless Canada Committee (DWCC) REALLY need your help by click the survey. 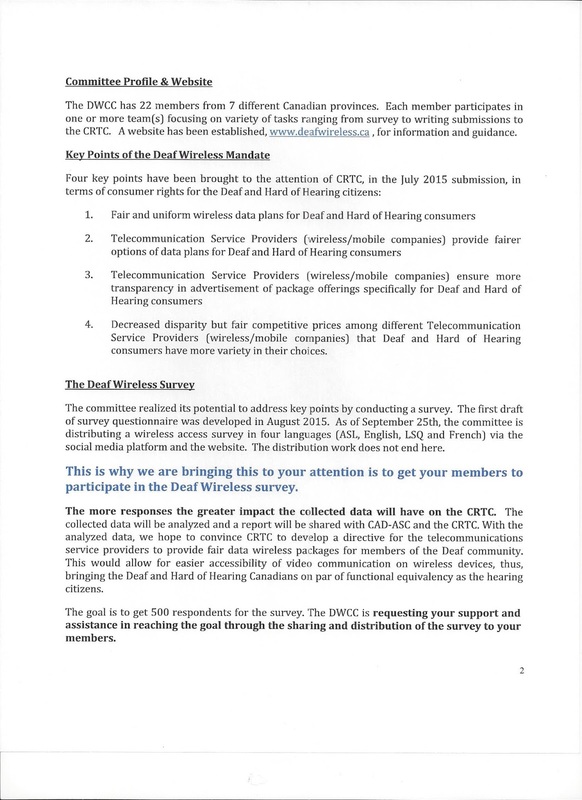 They need more people to do the survey before they present to CRTC. 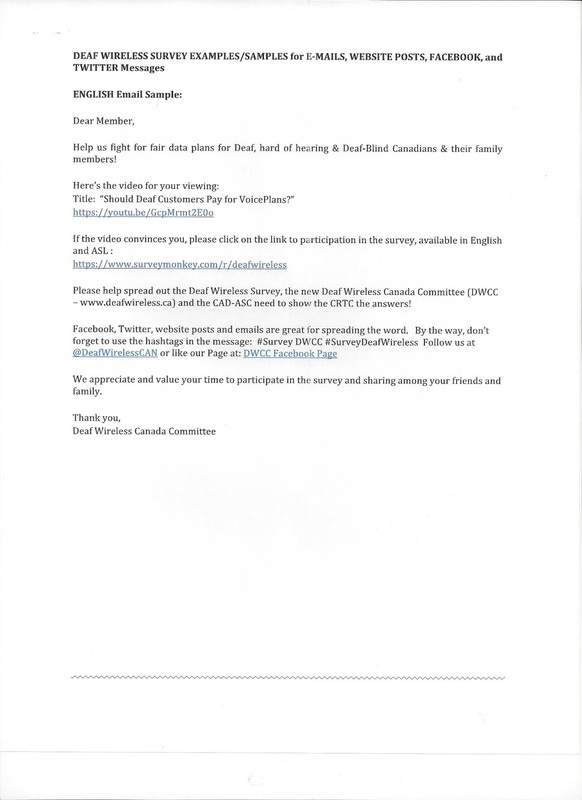 Their goal is to have 500 responses from you. 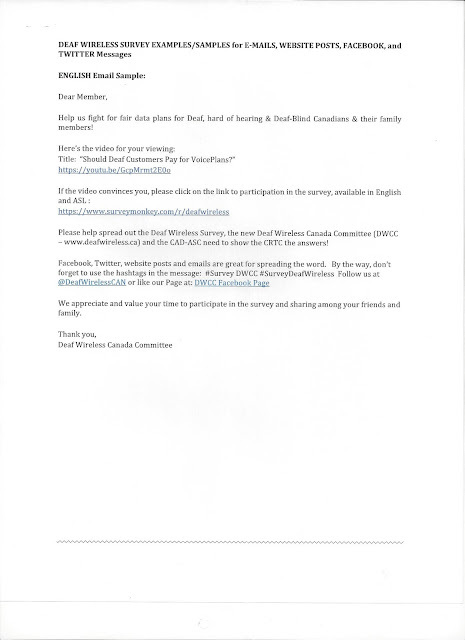 Please go to the survey as it will take few minutes of your time. They will appreciate your taking time to do this.